No longer unjustly vilified as unhealthy, avocados have gone from being associated almost exclusively with a certain Mexican dip to being appreciated as a versatile fruit that’s easy and fun to incorporate in just about every meal of the day. Ten years ago I probably would have been surprised to see avocado as an ingredient in a dessert recipe. But after looking through hundreds of cookbooks (vegan, raw, South American, Southeast Asian, etc.) 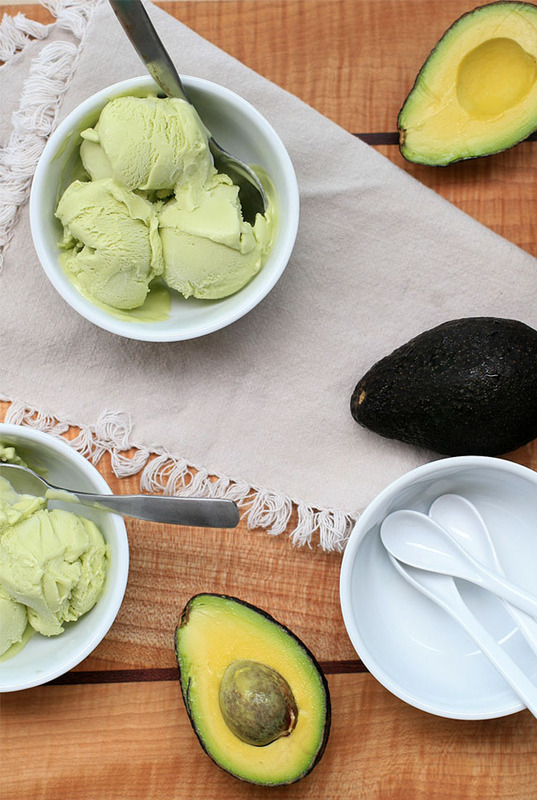 over the past couple of years, I realize that just about everybody has accepted avocado is as great in desserts as it is in guacamole. Of course, the Vietnamese were way ahead of the trend on this one, enjoying the tropical fruit with sweetened condensed milk as a indulgent shake, or sin to avocado. 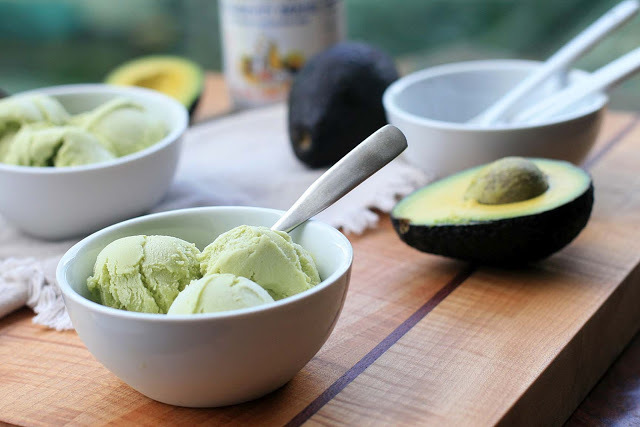 Although I’ve incorporated avocado in desserts on Girl Cooks World several times before (here and here), I thought it was about time they were given a starring role, rather than being a background ingredient providing texture and body. 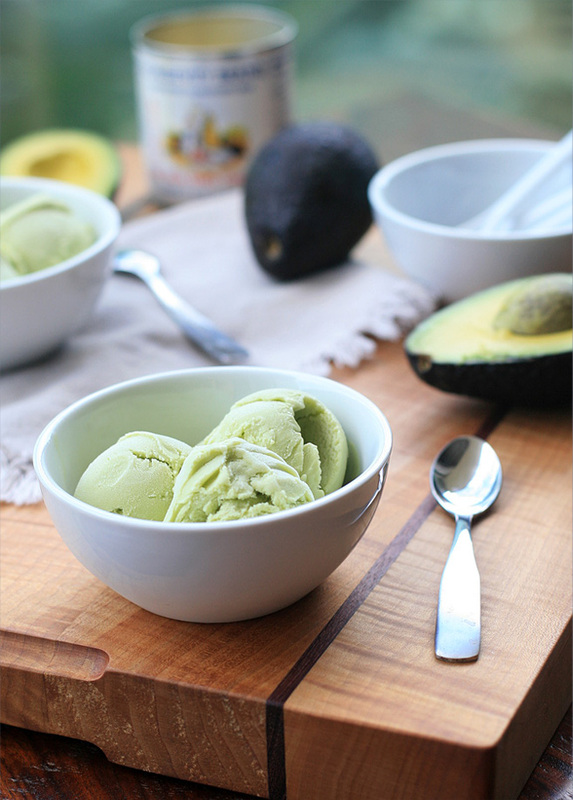 I adapted the classic Vietnamese avocado shake to ice cream form. 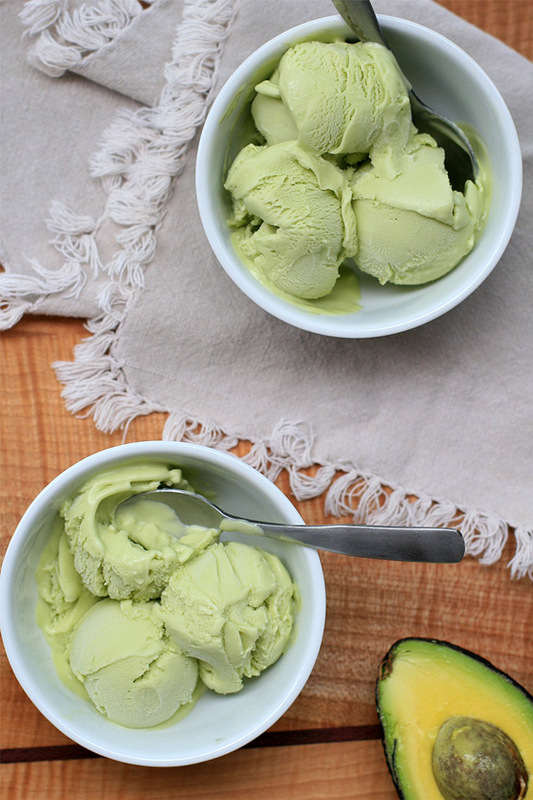 Combine the avocados, lime juice, milk, sugar and sweetened condensed milk in a blender and process until smooth. Add the heavy cream and process quickly, until just combined. Freeze the mixture in an ice cream maker according to manufacturer’s instructions.